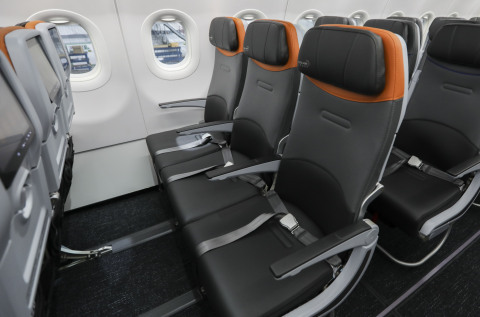 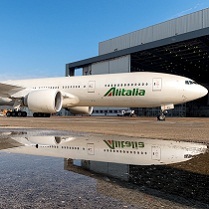 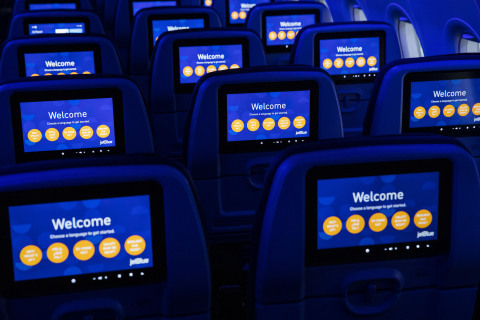 The US low-cost airline JetBlue announced on Wednesday 20th March, that its newest cabin experience has taken to the skies on regular services! The airline says its cabin restyling brings to the skies the widest seats available for the A320 aircraft, custom-designed seatback inflight entertainment (IFE) with 100+ channels of DIRECTV and hundreds of free movies and shows, ability to pair your mobile device to the screen, easy-to-reach power sources at every seat, and expanded coverage of free Wi-Fi connectivity almost everywhere JetBlue flies. 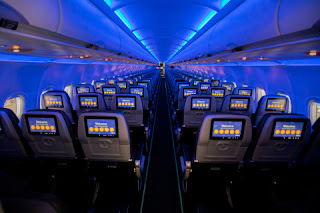 JetBlue has spent years on this latest restyling effort has been several years in the making, the first aircraft with the new cabin went back into service yesterday and almost a third of the carriers other aircraft will be refitted by the end of 2019.